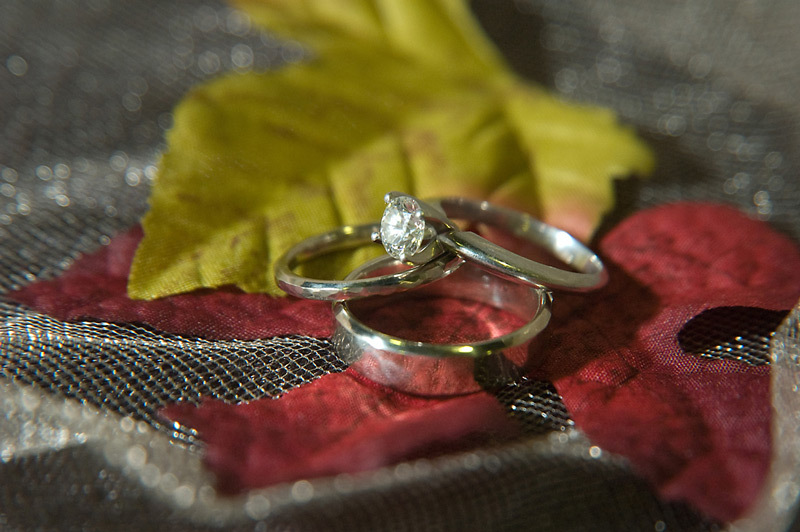 This gallery contains photos of custom made wedding and engagement bands. These have all been made to order, some have been fabricated by hand, and some have been carved from wax and cast. All are of top quality, diamonds are accompanied by graduate gemologist certificates, and one year loss, theft, and accidental damage insurance, as well as laser inscription of serial #, and LIFETIME trade-up policy. Custom laser inscriptions on the girdle of the diamond are also available. 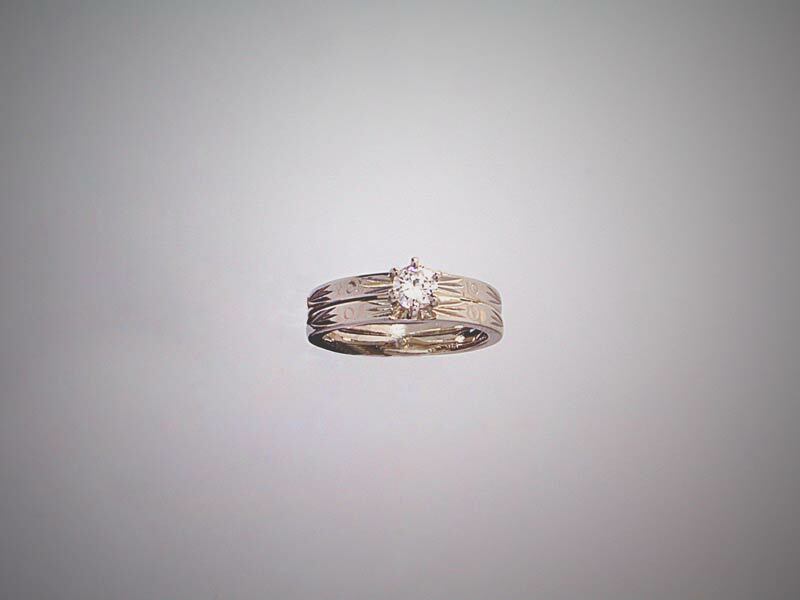 Made from a mixture of yellow gold from the famlies of the customers, this wedding ring was made to fit perfectly against her engagement ring. 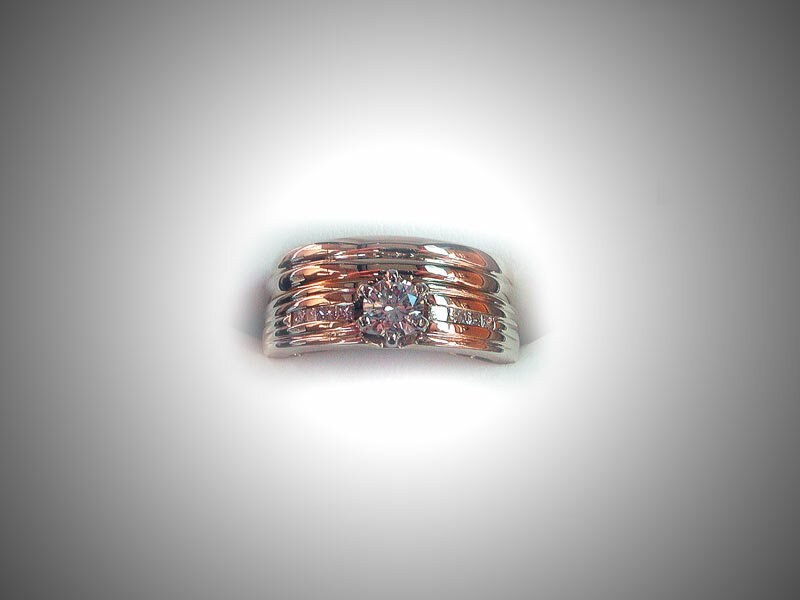 The separation visible in the picture is only to expose the ring better. They fit like a puzzle. 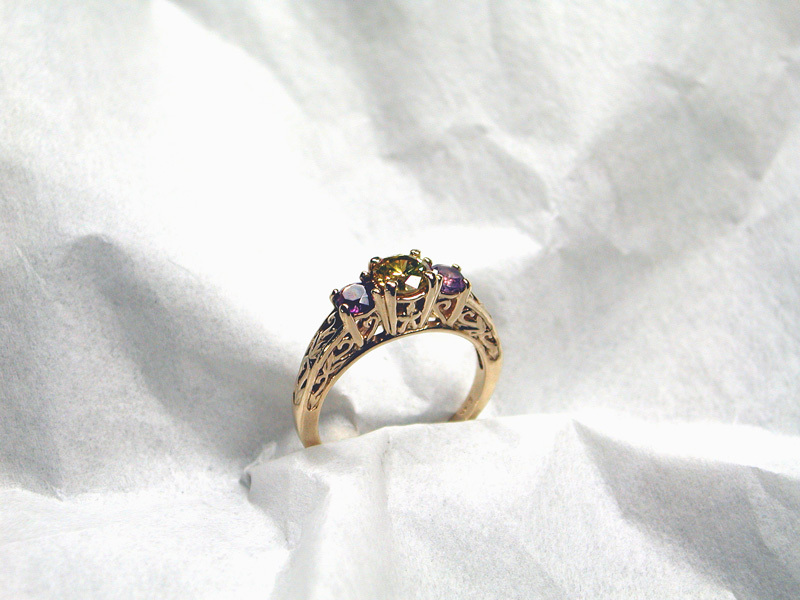 This Wedding Set was custom made using a customers yellow gold ring. 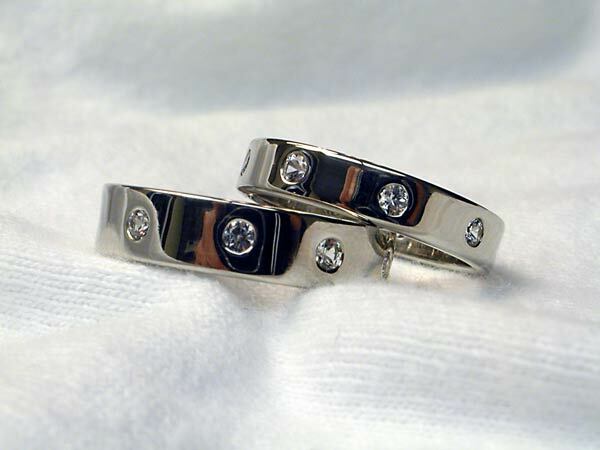 The outer band is standard 14kt white gold. The inside of the band was formed from an old Marine Corps. 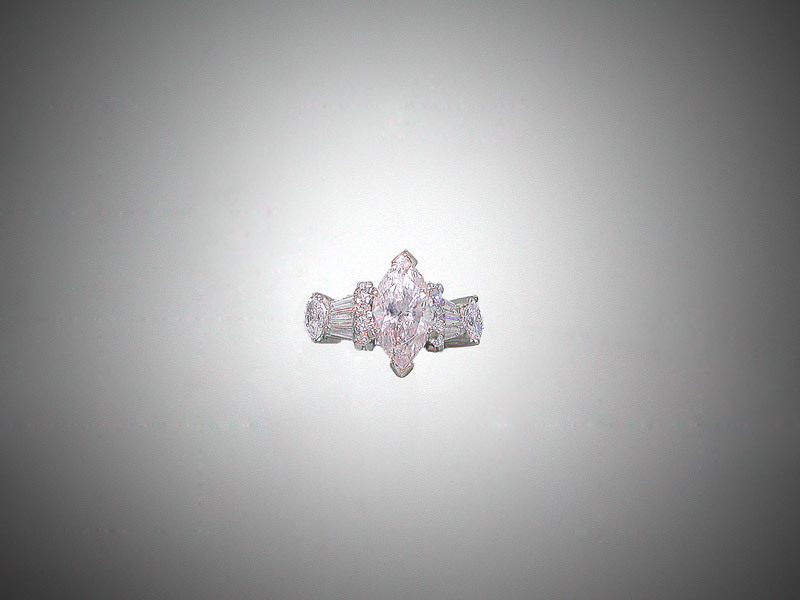 ring. Thus the yellow gold on the inside. 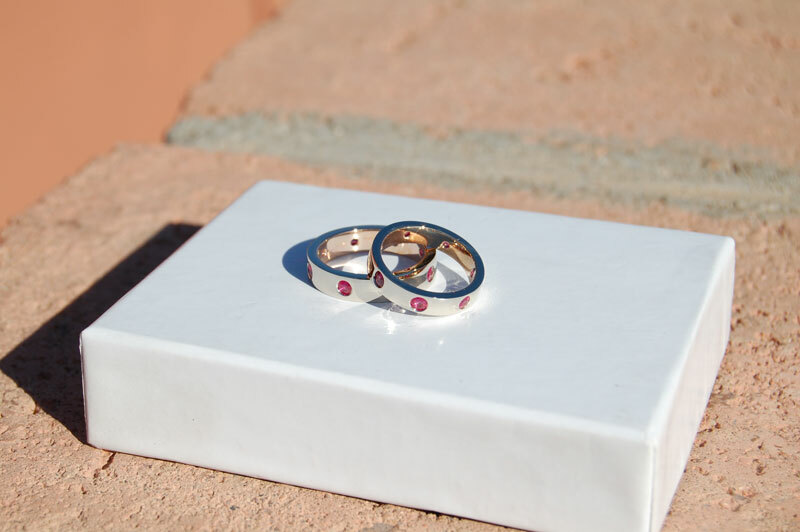 Each ring is set with 8 - 7 3mm natural rubies. Congratulations Nancy and Dave! Welcome to the family Dave! A Gorgeous .75ct. 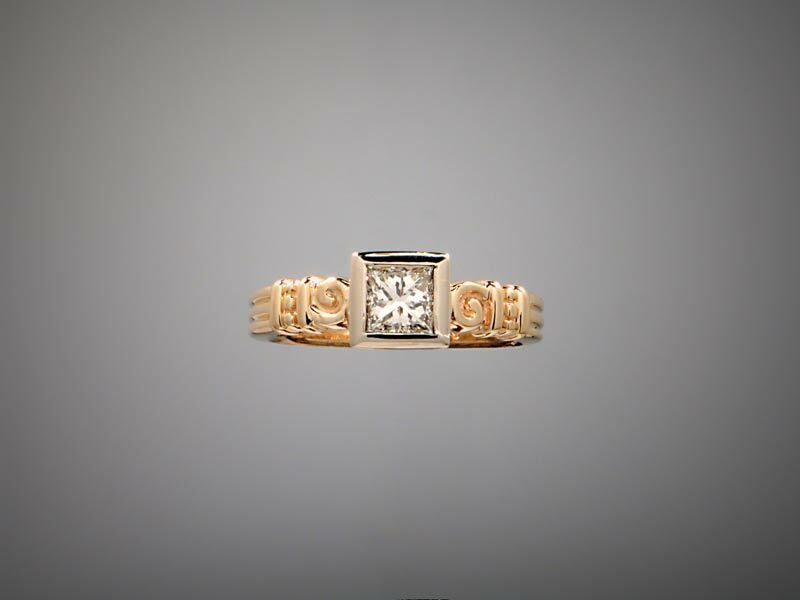 white diamond with matching 14kt. white gold bands. Congratulations Mr. and Mrs. Belanger! 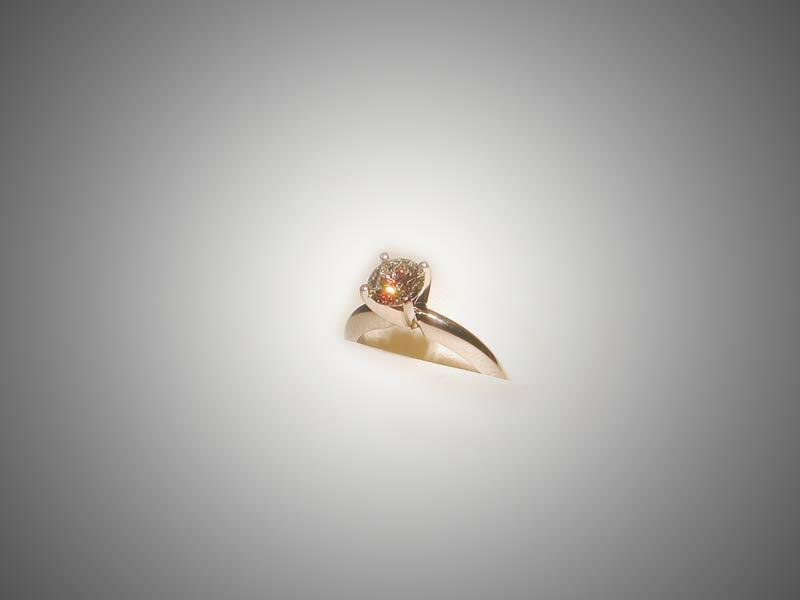 This Diamond is set in a four prong platinum Tiffany. 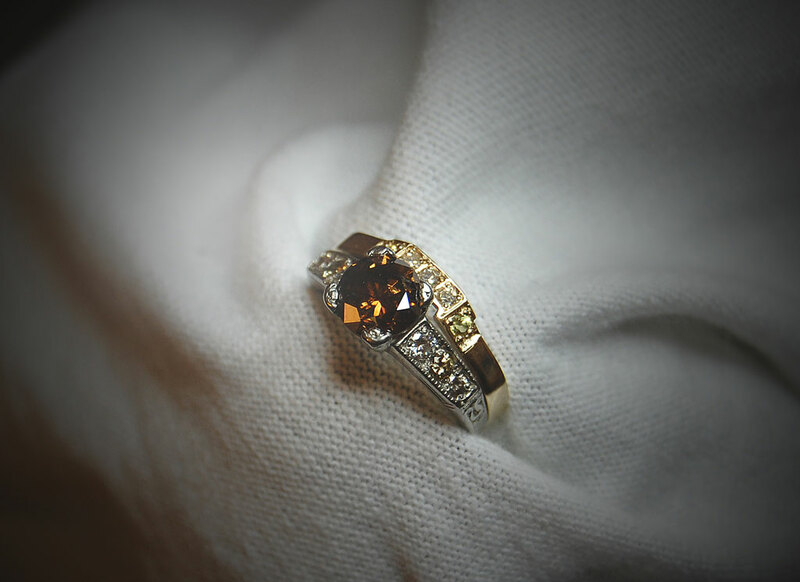 This Diamond is set in white gold with a yellow gold band. The color rating is H.
This gorgeous Marquise was a special request from a customer. This gorgeous stone is just under 3 carats, and nearly flawless. 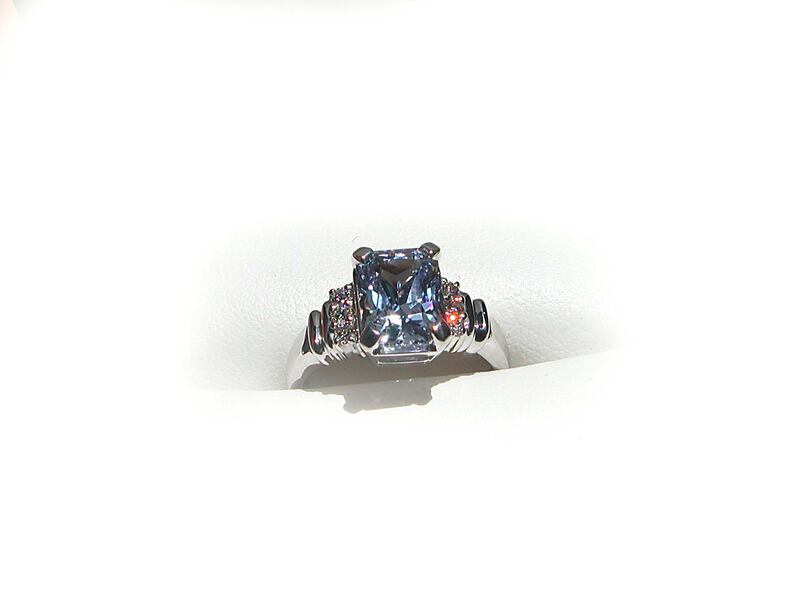 It is accompanied by three VS1, G color diamonds. The ring mounting is 14k white gold. 9 white sapphires adorn these simple and timeless bands. 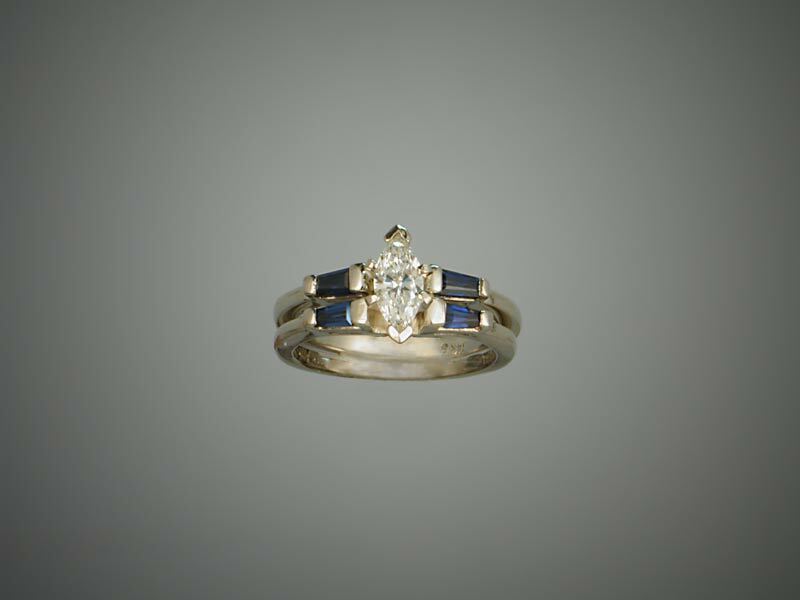 Gypsy or flush setting gives the rings a smooth finish free of snags, and the stones a permanant home. These two have been saldered together, much like the two they brought together. 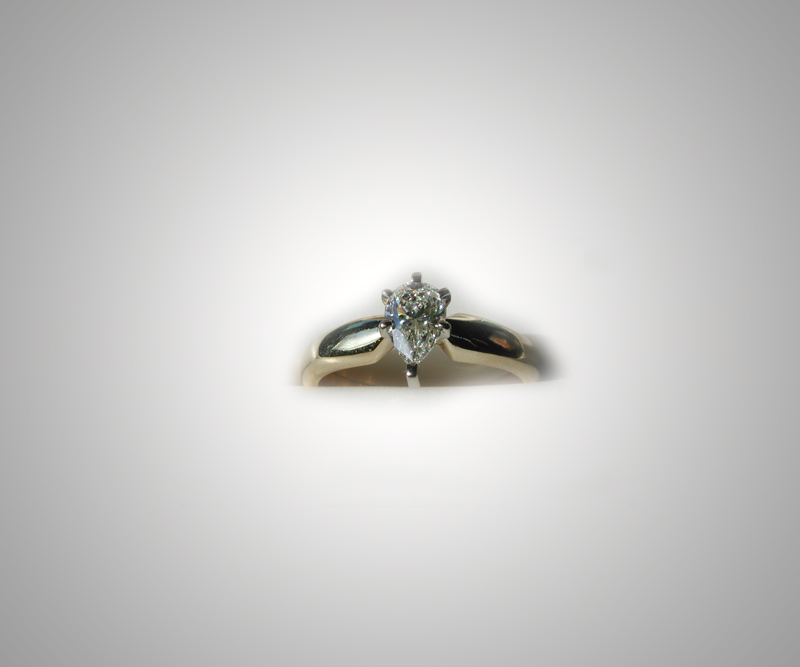 The diamond is a .38 ct. Marquise. The side stones are blue sapphire baguettes. This .53 ct princess cut diamond is set in a very durable white gold bezel. The shank is 14kt. yellow.gold. This wedding band / engagement ring combo was soldered together, fit with a new white gold setting and mounted in the middle of the two instead of on the engagement band only.